This charming period home has been renovated throughout yet still embraces the original character of the 1840’s. The property enjoys four bedrooms with three bathrooms, whilst on the ground floor three reception rooms are complimented by an immaculate fitted kitchen, study/fifth bedroom and a ground floor shower room. A gated entrance encloses off street parking for several vehicles, whilst the rear gardens have been thoughtfully landscaped. 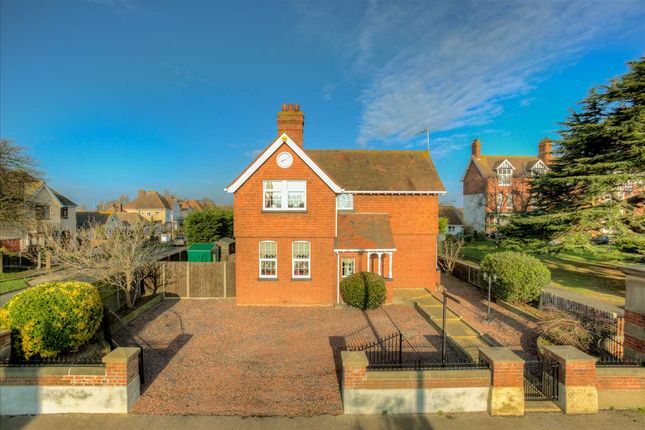 Located in the prestigious are of East Clacton, this family home is well placed for the waterfront, high street and railway station. Featuring exceptionally high ceilings, double glazed bay window to front with window boards, dado rail and skirting. Solid wood flooring, window boards, open planned room which could easily be converted in to two separate rooms, dado rails and skirting. Double glazed window overlooking ground of former hospital, solid wood flooring, dado rail and skirting. Potential ground floor bedroom. Walk-in wet-room, fully tiled with WC and heated towel rail. 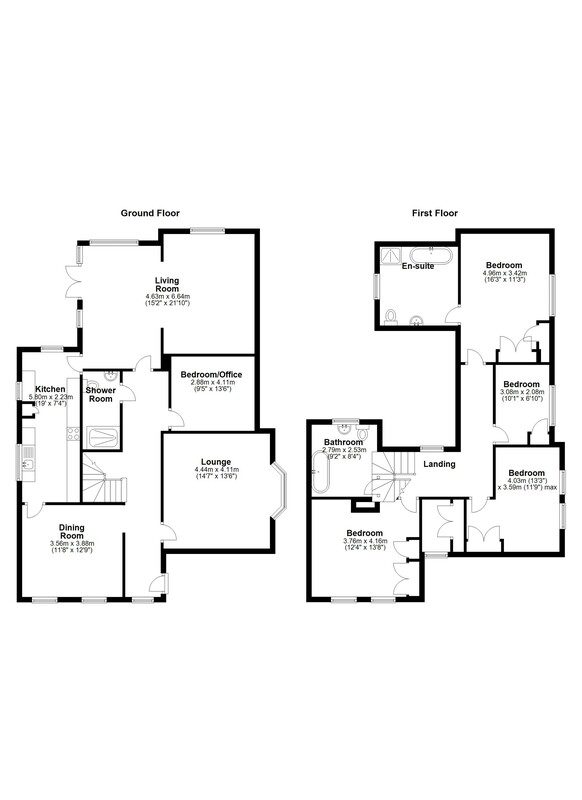 Four spacious double bedrooms, with en-suite shower/bathroom off the master bedroom. Main family bathroom is also situated on the first floor. Enclosed rear garden mostly laid to law, with access to double garage and additional off-road parking.